i guess you get to a point where your brain can only hold in so much before it has to let go of some stuff. i’ve got this amazingly talented group of photographer friends that inspires, teach me, push me and listen to me. the trouble with that is there’s always a new project around the corner…a jail shoot, a website rebrand (thanks Casia + Eric), a collaboration, a workshop…right smackdab in the middle of wedding season. so i’m starting to forget things. 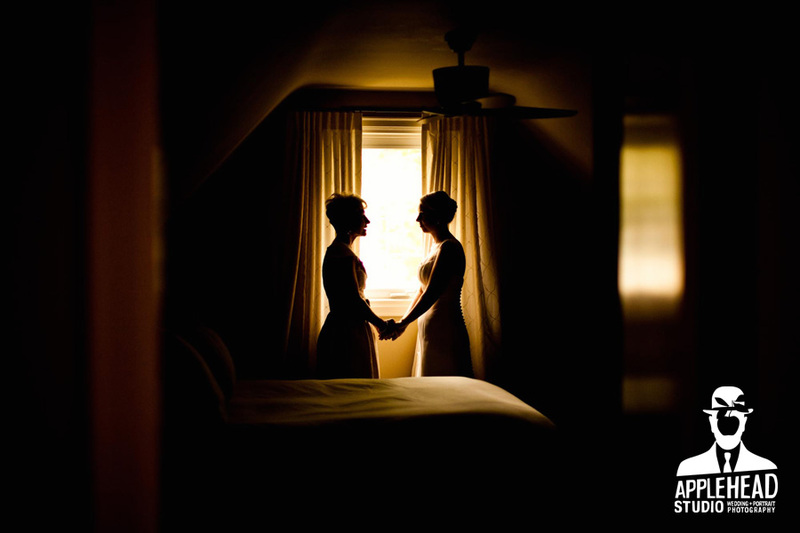 things I should not forget…like one of my very good friends getting married, a wedding that I shot. had NO idea…could not figure out why she all of a sudden changed her name and why I didn’t get invited to this wedding I couldnt remember. well I showed up at Erin + Jason’s wedding on Saturday, walked up to see Erin and the girls getting ready and looked at one of her bridesmaids and said, without hesitation, “You look really familiar for some reason.” You coulda heard a pin drop. Ewelina quickly replied, “yeah, you’re shooting my wedding next June”. NICE! Ewelina and Arthur, you know I luv ya…and I’ve said I’m sorry about 100000 times but here it is one more time. i’m sorry! Erin + Jason are away in an exotic location on their honeymoon so here’s but one image. its one of those images I can’t wait to get home and see. I was really struck by the relationship between Erin and her Mom. I won’t try to describe it so here’s my visual interpretation of what I saw. I did the exact same thing 2 years ago. Only difference, the bride kept playing with me, and I was shooting her wedding the very next weekend! I felt like a total arse. In my defense she had totally changed her hair! I will only assume that my wedding was so much FUN to shoot that it never felt like work!! So therefore you forgot…or you had heat stroke, or perhaps you were drunk…regardless, my pictures were fantastic. YAY…I’m so LOVIN’ the new info on the site & glad we could inspire you! My favorite parts are: The brand spankin new bio pic of you and are adorable family! Props to Tanya, Second the part about ‘love does not always need to look @ the camera and smile’ in your ‘how we roll’ section, and finally all your HONESTY! Great things are happening!! !